Add a whimsical splash of personality to your charm bracelets with this adorable CHARM IT! 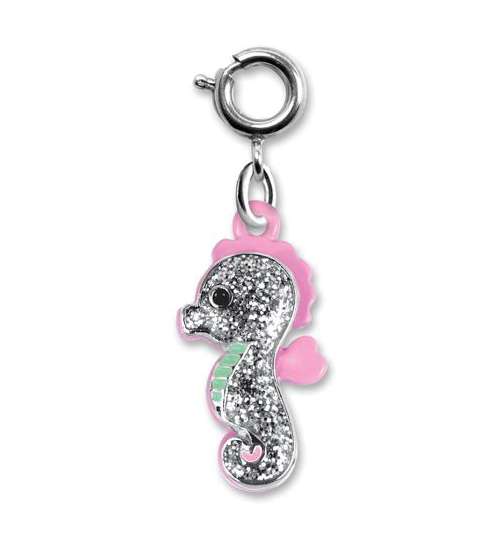 Glitter Seahorse charm. 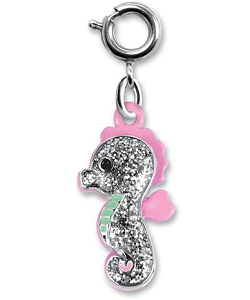 With a cute body covered in amazing silver glitter, pink core and fins, and sea foam green chest, this delightful 2-sided sea horse charm lets you personalize your CHARM IT! jewelry with a simple snap of the clasp.